Without a doubt there are a number of good immigration attorneys and it pays to know one when you have immigration questions. Recently, I've heard of companies worried about hiring foreign workers and all the immigration related issues in such a hire. So it seemed fortunate that I had the distinct pleasure of sitting down with one of Orange Counties finest immigration attorneys, Leila Moulana. My goal was to find out how difficult it was for employers, interested in using foreign workers as part of their recruiting and staffing strategy to access these candidates from a legal perspective. I know a number of employers who feared the paperwork, the cost and the nightmare of dealing with the bureaucracy of the US Immigration and Nationalization Services. It turns out, that is why they have immigration attorneys and it is not nearly as bad as it seems if you have an expert at your side so here's my interview with one of the finest immigration attorneys I've ever had the pleasure of interviewing! First let me say thank you for taking the time to sit down with me. As you know, my goal with this site is to provide hiring managers and HR professionals with the information they need about finding and hiring top talent. My guess is that not too many of them are immigration attorneys so one pool of overlooked talent is the foreign worker pool. These workers have special circumstances that can scare away employers who might otherwise hire these top notch people to help their companies succeed and grow. So, I'm certain there are employers out there who would like to know about immigration laws in the US and what burdens and responsibilities fall onto the companies who hire these foreign workers. So with that said, let's get started! Why don't you start by introducing yourself and telling the readers what you do. I am a British citizen and Iranian national. I am a graduate of the University of Leicester, England, where I earned my law degree in June of 1996. I am a certified attorney, licensed to practice law in the states of New York and California. 1 Having emigrated from Iran to England with my family at the age of 11 and again to the United States 15 years later, I have experienced U.S. immigration laws first hand. As such I have a true understanding of the system and empathy for my clients. As a sole practitioner I am able to offer my clients my personal attention on every case and the assurance that I can be reached directly as and when needed. My area of practice covers exclusively U.S. Immigration and Nationality Law including Employment-Based Immigration; Investor Visas: permanent and temporary; Work visas including H1B and L1A/L1B; all family related petitions; Naturalization and deportation defense. I have represented individuals and companies all over the United States and worldwide. What are the basic steps in the immigration process and can an employer do it on their own without an immigration attorney? U.S. Immigration Law is extremely complex and rigid so I would never actually advise anyone to attempt to handle their immigration case themselves, but some do try. In fact the majority of my clients are those who have attempted unsuccessfully to represent themselves and then need me to salvage the case if at all possible. Employment based cases are particularly sensitive in that you need to make sure the case is commenced correctly so that you do not encounter problems two or three years down the road which is how long some cases could take to be processed. The last thing the employer or the employee needs is to have to re-start a case after spending a considerable amount of time and money due to a small mistake which could have been avoided with expert help in the beginning. Employment based cases whether temporary or permanent in nature involve dealing with the Department of Labor as well as the U.S. Citizenship and Immigration Services. Each of these agencies has their own requirements and procedures. The steps that need to be satisfied really depend of what kind of visa we are applying for and also the qualifications of the candidate for the job. I would strongly advise a consultation to determine the best option and best course of action on each case. It sounds like an employer would have a hard time dealing with immigration issues themselves, how do you make the process easier/quicker for employers? I provide my corporate clients with a one page questionnaire to complete at the initiation of a case. This provides me with all the information I need from them in order to complete the case. I will then obtain the necessary information from the employee. I prepare the case from start to finish which includes researching the job title to make sure it is acceptable by the USCIS and that the employee is qualified for it, obtaining a prevailing wage from the Department of Labor, writing and placing the advertisements, preparing all the forms and job posting notices, sending the employer all the resumes which have come in for a particular case with a worksheet which will help them in evaluating the possible candidates, writing offer letters and requests on behalf the employer, and finally filing the application and keeping the employer posted as to the progress of the case. Basically once I have started working in a case all the employer has to do is review the paperwork and sign. What options are available for employers who want to bring in or keep a foreign worker? There are many different options that should be considered. This would have to be determined on a case by case basis. Some examples are H1B, L1A and L1B, and of course employment based green card. What does it cost and what kind of time and documentation/paperwork/time commitment does it take from me the employer? The cost of filing a case will depend on the type of work we are doing. I usually charge a flat rate fee which can be paid in installments. The USCIS has its own filing fees which differ for each application. These are increased from time to time. The type of documents I usually need the employer are my questionnaire and their last thee years tax returns. Again this is for the green card application only. For L visas there is considerably more documentation needed. I provide all my clients with a list of what is needed and assist them in gathering the information. I would like to point out that all the information provided to me by the employer is confidential and is not shared with the prospective employee or anyone else other than the USCIS and the Department of Labor. I would also like to point out that the USCIS and the Department of Labor are not related to the IRS. All they are looking for is to see that the employee is qualified for the job and that the employer is able to pay the prevailing wage. How long does it take to get a Visa if I find someone I want to bring in? How long does it take to get them a Green Card if I use an immigration attorney like yourself? The USCIS processing times vary case by case depending on the type of visa and category in a green card application. The most common type of green card is for anyone with a bachelor’s degree. This is currently taking five years or so. If the employee has a Masters degree this is accomplished much faster. I would only be guessing if I stated a particular time line however since every case is different. Can we do a sponsor transfer if I find a good candidate? What does it take to do this? The best and fastest option for an employer right now is an H1B transfer. As soon as we obtain the Receipt Notice from the USCIS the employee can commence working for the employer. The case itself could take two to three months to be processed. The employer has the option of paying the premium processing fee of $1000.00 to the USCIS to process the case in two weeks, although this is not necessary in transfer cases. The process is the same as obtaining a new H1B. However the employee is not subject to the numerical quota which means they are not placed in the lottery system which in recent times has prevented many qualified H1B candidates from obtaining their H1B status. Thank you Leila, are there any last thoughts you might want to leave with an employer considering an immigration candidate or taking on someone with an immigration issue? All I would like to add is that this is a complicated and rigid process. It is both time consuming and costly for someone who is not familiar with the process and paperwork involved. I would advise seeking counsel to make sure the case is handled the best possible way and to ensure a successful outcome. If employers have questions, can they contact you and get more information? Certainly, my consultation is free and I would be more than happy to meet with the employer or employee to evaluate a case and to give all the possible options. I have many satisfied corporate clients who have stayed with me over the years. Once I have the employer’s information in my system there is even less work to be done by them for future cases! Thank you for this interview and I look forward to being of assistance to your clients in the future. Thank you Leila. I appreciate your time and we'll have a contact form with this interview below as well as your phone number for anyone who would like to reach you. Thanks again and I appreciate you sharing your time and knowledge to my readers. Wow, that was terrific! She made a number of great points. It seems real clear that working with immigration attorneys is the way to go. You really need an insiders help because there are so many 'tricks of the trade' you can't know until you've done it. The good news is that you can access this hidden talent pool because the paperwork and hassle to an employer isn't so bad. Access this Hidden Pool of Candidates! There are no reasons not to look at this talent pool. With the help of a good immigration attorney, you should be able to deal with most immigration issues with little hassle so go for it! 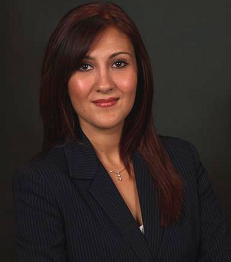 Our guest, Leila Moulana, Attorney at Law, is one of the few immigration attorneys who can explain the immigration process in simple terms that are easy to understand and she has been generous enough to provide her direct contact info if your company needs additional help or information. She can be reached at (714)743-2175 or if you prefer email, fill in the contact form below. Please let her know how much we appreciate her help and I can not recommend her enough to companies that have immigration related issues!